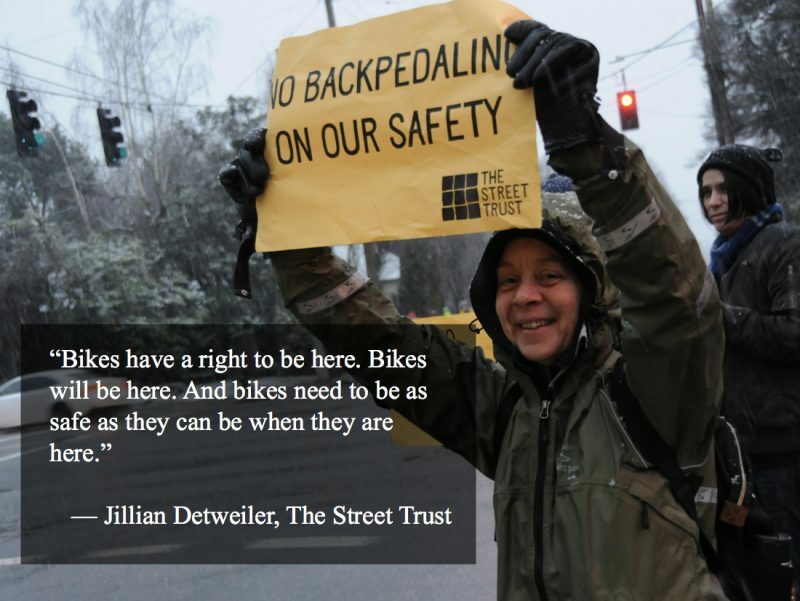 Jillian Detweiler is the executive director of The Street Trust. So reads the disappointing job description for the next leader of the Portland Bureau of Transportation. Oregon’s largest active transportation advocacy group is the latest to request that the Oregon Department of Transportation complete a full Environmental Impact Statement (EIS) for their I-5 Rose Quarter project. Advocacy groups aim to put their stamp on the selection of the next person to run ODOT. 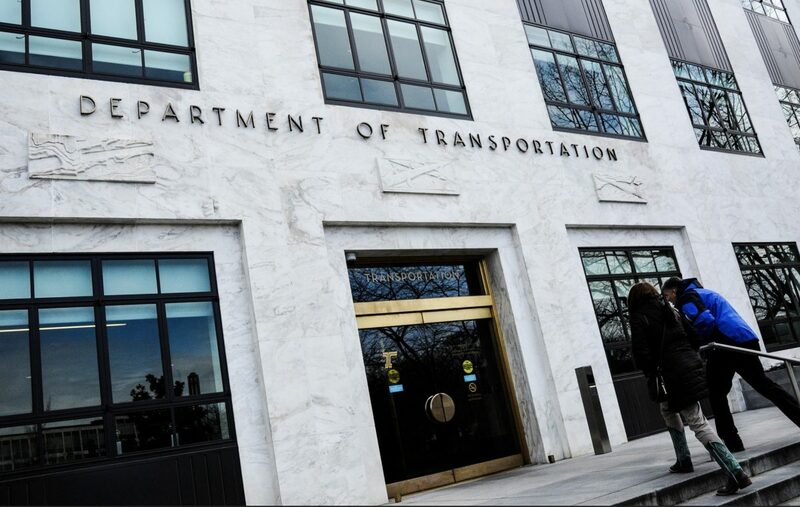 After 14 years at the helm, Oregon Department of Transportation Director Matt Garrett resigned last month. For many reform-minded transportation advocates and professionals, he won’t be missed. 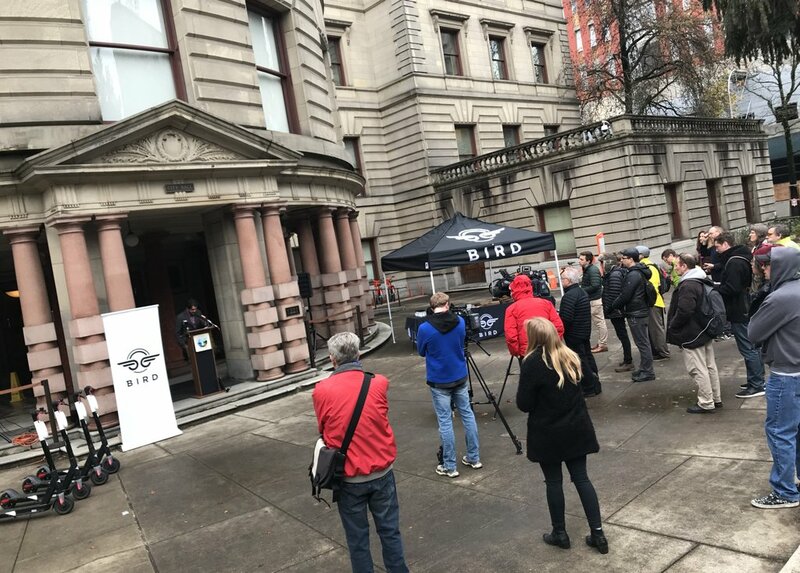 Bird, the fastest company to ever reach a $1 billion valuation, set up shop on the steps of Portland City Hall today in a bid to get their product back out on the streets. Joining them were leaders from active transportation advocacy group The Street Trust and Forth Mobility, a nonprofit that promotes electric vehicles. If Portland has any chance of reaching its transportation goals and bashing through the ceiling of the driving-dominated status quo, we must have more progressive politicians who fear the consequences of inaction more than a few angry constituents and tough headlines. That’s the thinking behind the newly created Street Trust Action Fund, a new 501(c)(4) arm of the Portland-based nonprofit. The Street Trust as we know it today is a 501(c)(3), a federal status that limits their ability to get directly involved with politics — whether through lobbying for specific legislation or the support of specific candidates for office. As a 501(c)(4) The Street Trust Action Fund will be able to endorse political candidates and lobby for issues without limitation. Unlike a 501(c)(3) however, donations to the new entity will not be tax deductible. 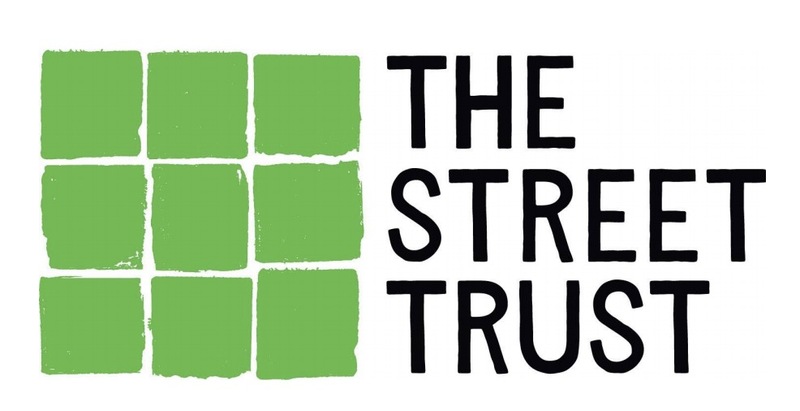 Reached for an interview via phone today, The Street Trust Executive Director Jillian Detweiler said they plan to launch the new organization with a fundraising party this Thursday (6/28). In the short-term, they plan to focus on two key political races: a Portland City Council seat that’s up for grabs and a Washington County Chair race. “We think it’s really important to connect with those candidates and provide some guidance [to the community] about who we think will be strongest for transportation.” In addition, Detweiler says the new 501(c)(4) status will help them more fully engage with the ongoing effort to build support for a major transportation funding bond that will emerge in 2020. About two dozen people stood on the corners of SE 26th Avenue and Powell Boulevard last night to protest plans to remove a pair of bike lanes. As big, wet snowflakes fell, people rang horns and bike bells and held signs high that read, “No backpedaling on our safety,” “It’s always biking season,” “Keep your hands off our bike lane” and “Vision Zero now”. In a blog post yesterday The Street Trust (formerly the Bicycle Transportation Alliance) offered further rationale for why they’ve chosen to not sign onto a letter opposing the a freeway widening project on Interstate 5 at the Rose Quarter. The No More Freeway Expansions coalition has written a letter to Portland City Council and the Oregon Transportation Commission that has been signed by over 25 organizations including the Audubon Society of Portland, Neighbors for Clean Air, the Urban Greenspaces Institute, OPAL Environmental Justice Oregon and others. Their letter strongly opposes the I-5 widening project and demands that the project is removed from the City of Portland’s Transportation System Plan. 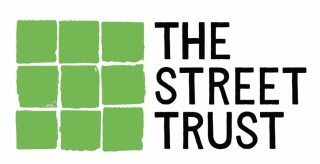 Jillian Detweiler is the new leader of The Street Trust. The 51-year-old northeast Portland resident who lives on the Going Street Neighborhood Greenway and tells us she “cheered” when its sharrows appeared in front of her house, is a new kind of leader for an organization in the midst of transformation. 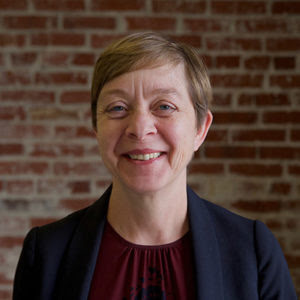 Detweiler is currently the interim development manager for Prosper Portland (formerly the Portland Development Commission). Before that she served three years as a policy director for former Mayor Charlie Hales — her second stint on Hales’ team after working with him out of college in the mid 1990s. After earning a Masters degree in city and regional planning from the University of North Carolina in 1992, Detweiler worked on planning and permit issues for then Commissioner Hales from 1995 to 2002. After that she spent 12 years at TriMet — first as a planner and then as director of real estate. In that position she oversaw $240 million in property acquisitions as part of the MAX Orange Line project. With her background of city hall politics, transit planning, and high-profile development work, the selection of Detweiler reflects The Street Trust’s goal of becoming a political powerhouse with an expansive portfolio and the funding streams to make it all possible. She has no experience in professional bicycle activism, and that’s likely part of the reason she was hired (we heard from sources that The Street Trust favored candidates with more political experience).